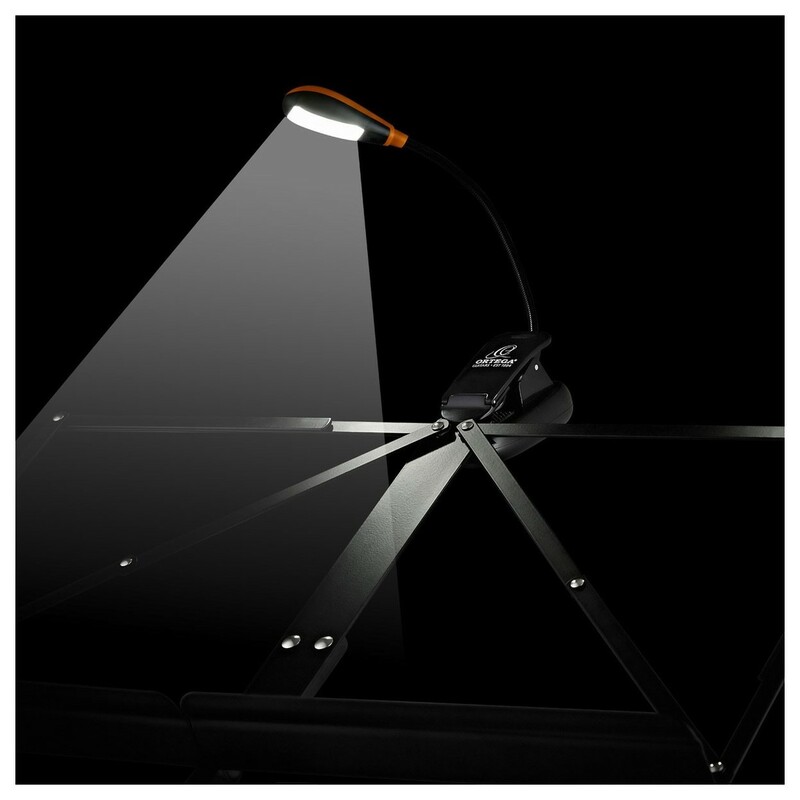 Ortega have engineered a modern piece of equipment to pull you right out of the dark. 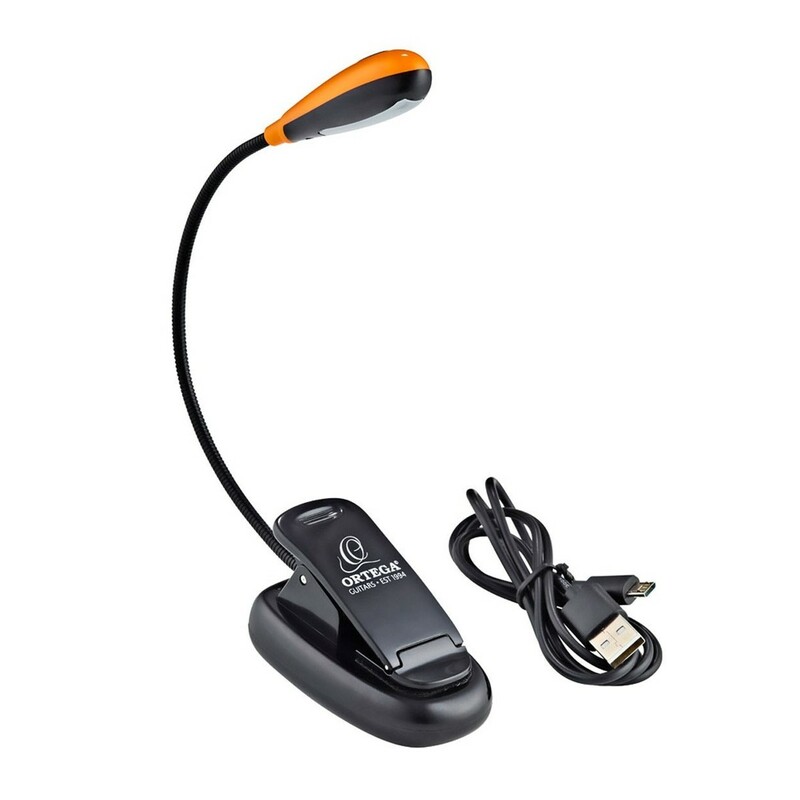 The Ortega OML-S Orchestra Music Light's unique goose neck design ensures you'll never miss a thing, even in the darkest of rooms. With a generous run time of 8 hours and a rechargeable battery, it's perfect for live performances. Take full advantage of the 35 mm clamp range - simply attach it on to something and you're away. Equipped with 4 single LED lights, it provides you with a subtle glow whilst also providing you with the option of full brightness. This is down to the two-setting feature - so you don't have to worry about distracting your audience. Clarity when you need it.